Starting this Saturday, April 5, Pinky's Farm in Rock Camp, W.V., will be hosting its first work weekend in preparation for this year's events. 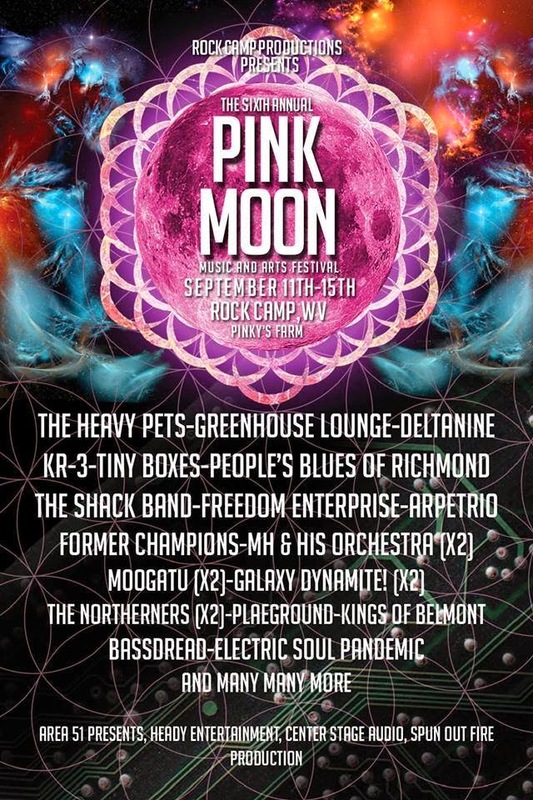 For just 10 hours of volunteer work, you can earn a free ticket to Rock Camp Productions' Pink Moon Festival 6. A grassroots event that operates without the support or influence of corporate sponsors, Pink Moon Festival thrives on the involvement of its attendees, creating a deep sense of community and purposeful interaction. This year, from September 11th to the 14th, artists to include The Heavy Pets, Greenhouse Lounge, and Deltanine will be tearing it up on two stages, every night until sunrise. Don't worry if you can't make it this weekend; the dates for other work weekends through early May are listed below and future dates will be announced. Check out the Work Weekend Facebook event or the Pink Moon Festival Facebook page for more information. Come back next week for a preview of all the events happening this year at Pinky's Farm. Or subscribe to the weekly update and have it sent straight to your inbox. Post by Pink Moon Festival.